Chiropractic is the art, science and philosophy which focuses on the relationship between your spine and your nervous system. Your body has an incredible ability to heal itself. It regulates itself through nerve messages transmitted between your brain and the rest of your body. Your spinal cord acts as a nerve “highway” for these nerve messages. Your brain is protected by your skull but your spinal cord is vulnerable to injury because it is surrounded by the 24 moving vertebrae which make up your spinal column. Chiropractors are trained to detect, correct and prevent interference in your “nerve highway” created by spinal misalignment or the incorrect mobility of vertebrae. No. Chiropractic care can benefit organs, tissues, systems and cells in your body by optimizing your body’s ability to heal itself. Although it is usually associated with back pain, chiropractic has been shown to be effective in relieving headache, neck pain, arthritis, sciatica, carpal tunnel syndrome and many other conditions. Yes. Chiropractic is a safe, gentle, conservative and natural approach to better health. In repeated studies, chiropractic has been found to be beneficial and it provides an effective alternative to drugs or surgery. That depends on the condition you were in when you started your chiropractic care. For some, there is immediate relief while others require more frequent visits over a longer period of time to feel better. You may have been developing your condition for years or even decades so it is not unreasonable to think that your treatment may take some time. In some cases there is the feeling of a light pressure on your spinal joints and/or you may hear a popping sound but there is rarely pain associated with an adjustment. 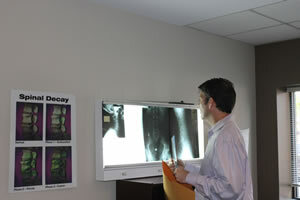 If you came to your appointment in pain, you may feel some pain relief or improved mobility after spinal adjustments. That depends on two things: your condition when you started and your overall health goals. Relief from current pains may take only a few weeks of care after which it is up to you whether you want to continue your care. For many, chiropractic is part of their balanced healthcare just like trips to their dentist. 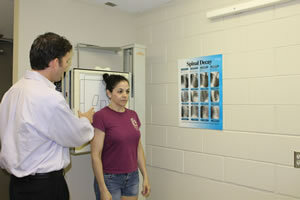 They have regular spinal check-ups to maintain the spinal health they achieved after their initial care. What is the cost for a chiropractic exam and consultation and/or massage? A half-hour massage is $40.00, hour massage is $70.00 and the exam and consultation is $125.00. Berman Chiropractic & Wellness accepts most insurance. Please call to confirm 314-862-5700.